The default Magento order export management can be essentially simplified with the help of third party tools. 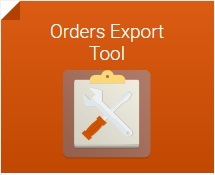 We’ve already gathered the best import/export modules in the appropriate posts here: Magento import/export extensions; Magento 2 import/export extensions, and today we’d like to draw your attention to the the Orders Export Tool by Wyomind. Below, we will introduce you to the module’s features and backend functionality. 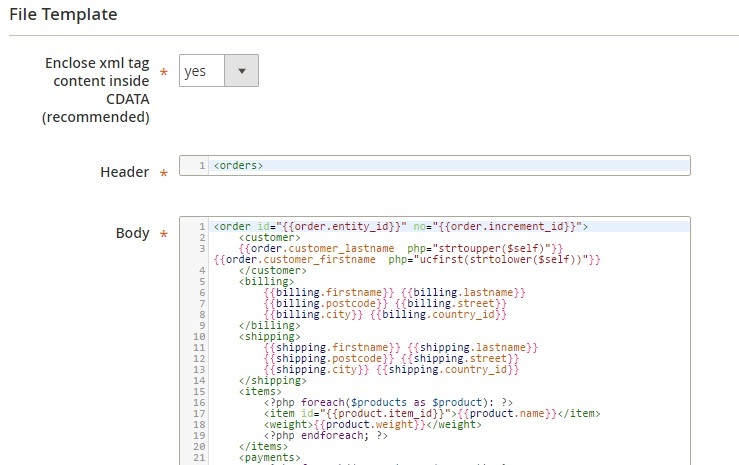 What does the Wyomind Orders Export Tool for Magento 2 and 1 do? First of all, it provides the ability to export all your orders data into a single file. Thus, you can easily combine orders, ordered items, invoices, payments, shipments, and credit memos in one place. As for available file formats, they are XML, CSV, and TXT. It is also necessary to mention that you can create as many data feed templates, as you need. 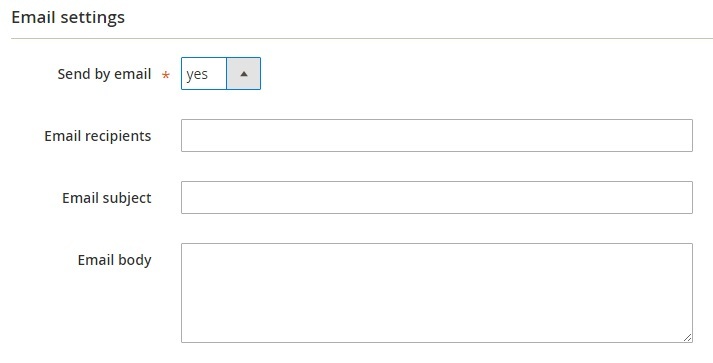 Furthermore, each profile can be highly customized according to your ecommerce requirements, so you can add any attribute to your data feed templates, create you own attributes, and even add PHP code to templates. For those users who have no idea what to do with the module, Wyomind offers a lot of helpful features. For example, there are sample templates included in the extension that can be used right after you’ve installed the module. Besides, you can customize them or create absolutely new templates on their basis. Another great user-oriented feature is the ability to preview your data feed and use the syntactic helper to eliminate misprints. 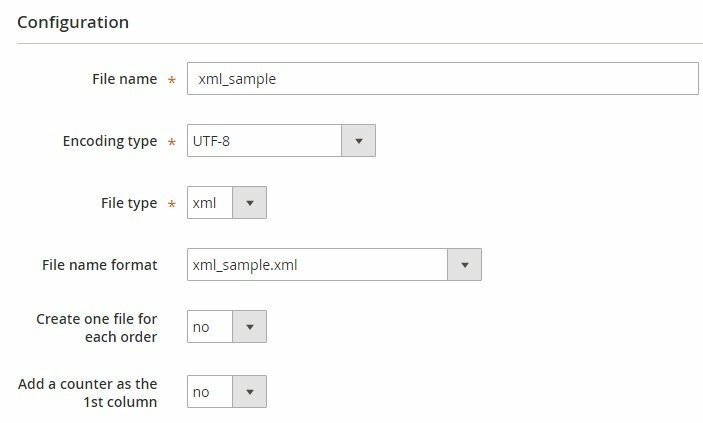 And if you’d like to reduce the amount of manual work, Wyomind Orders Export Tool for Magento 2 and 1 will be also very helpful, because it can regularly send your updated feed to any order management platform. The extension supports running scheduled tasks to automatically update and generate the feed. All exports may be sent by email; besides, there is the FTP upload functionality available in Wyomind Orders Export Tool. Action (Edit, Delete, Preview, Generate). 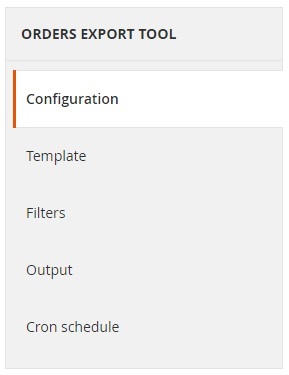 While editing a profile, you face 5 tabs of options: Configuration; Template; Filters; Output; and Cron schedule. In Configuration, you specify file name, encoding type, file type, and file name format as well as decide whether to create one file for each order and add a counter as the first column. 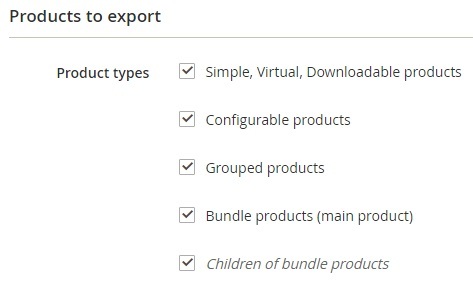 Next, there is the Products to export section, where you tick product types you’d like to export. 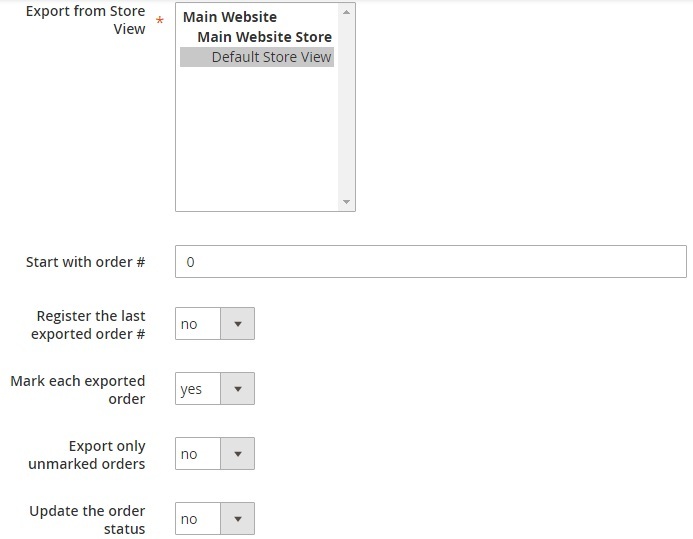 In Orders to export, you choose store views you are going to export from, specify order number to start from, and decide whether to register the last exported order number, mark each export order, export only unmarked orders, and update the order status. In the Template section, you enclose xml tag content inside CDATA, and view header, body, and footer. The Output tab contains three groups of settings: Storage, FTP, and Email. In Storage settings, you specify file directory. 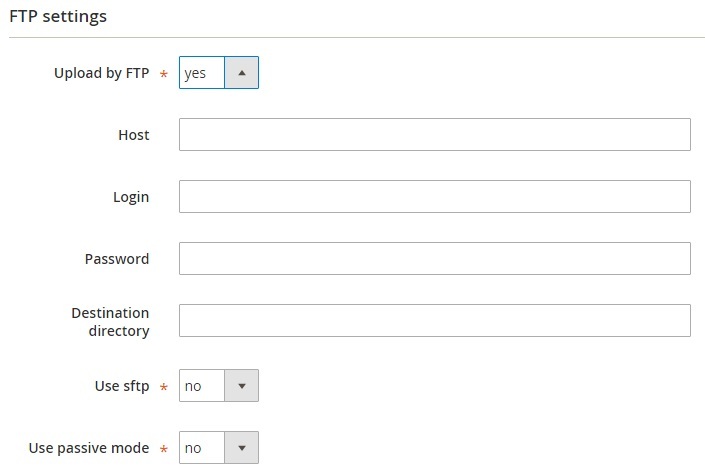 In FTP settings, you have to deal with the following parameters: Host, Login, Password, Destination directory, sftp, and passive mode. As for Email settings, it is necessary to specify recipient address, email subject, and email body here. In Cron schedule, you choose days of week and hours of day when each new export should be created. All custom variables are gathered in a grid as well. Scope, Name, and Action are three columns available here. 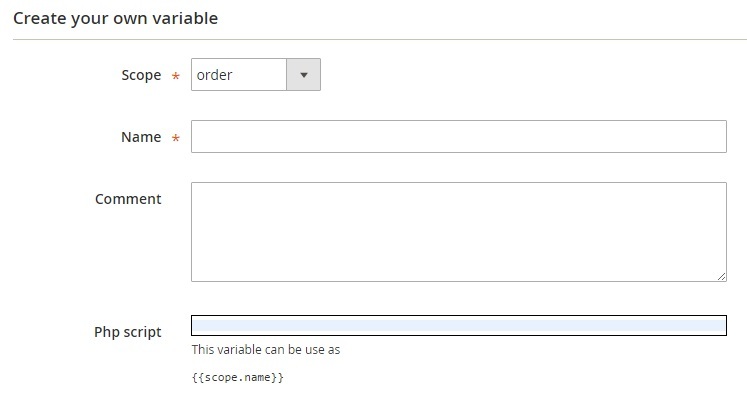 While creating your own variable, you choose its scope (product, order, shipping, billing, etc) and specify a name. Besides, it is possible to leave a comment and add a PHP script. The grid related to custom functions consists of only 2 columns: Script and Action. And this is how you create a new custom PHP function in Wyomind Orders Export Tool. 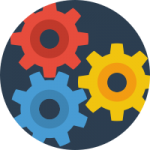 As for the extension configuration, you can view your extension version, set Cron job reporting, and modify advanced settings here. 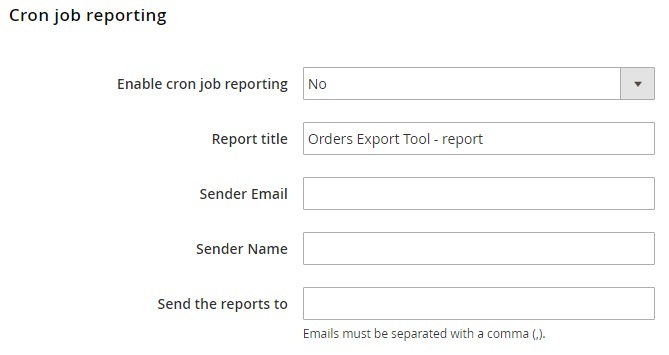 The section with Cron job lets you enable the reporting, specify a report title, sender email and name, as well as add recipients. 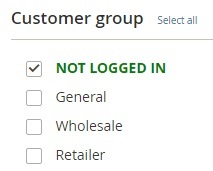 In Advanced settings, you enable log files and choose a profile to trigger while placing an order. 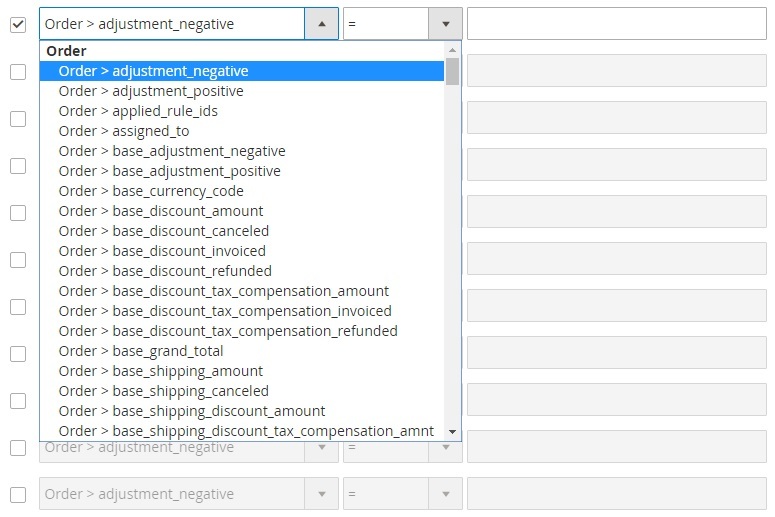 As you can see, Wyomind Orders Export Tool for Magento 2 and 1 adds a lot of missing features. 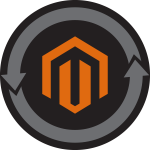 If you a sick of the limited Magento order export management functionality, the extension is a must have addition for your ecommerce storefront. As we’ve just illustrated, it has an intuitive interface and offers a lot of powerful enhancements that will essentially simplify your daily routine. The price of the extension starts at €95.